Going to the bathroom could be a new Olympic event in Sochi. 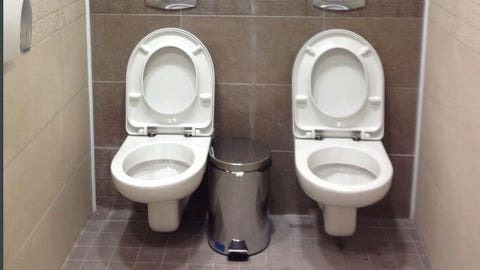 As you can see below, the stalls in Sochi come equipped with two toilets. It also doesn’t look like a toilet paper dispenser is in a suitable location.